A while back I showed you 15 awesome back to school gifts in jars. I found this little back to school organizer when doing research for that post and couldn't help but to feature it here. 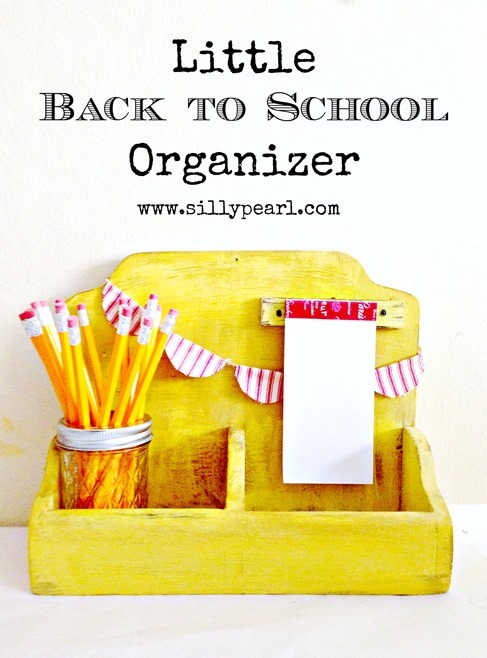 Steph from The Silly Pearl has done it again with her little yellow back to school organizer. I love her use of color and the mason jar holding pencils. Head over to see how to make your own.